Your Path to Leadership is a series of weekend retreats and workshops focusing on growing personal leadership and well-being. 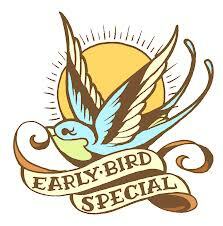 Early Bird Gets the Best Rate! We’re pleased to offer a discounted rate to those who register before September 15-2012, and a few of the earliest early-birds can upgrade to a one-bedroom suite at no extra charge. Suites are limited and available on a first-come, first-served basis, so register now! Defining Your Personal Philosophy. Why Bother?